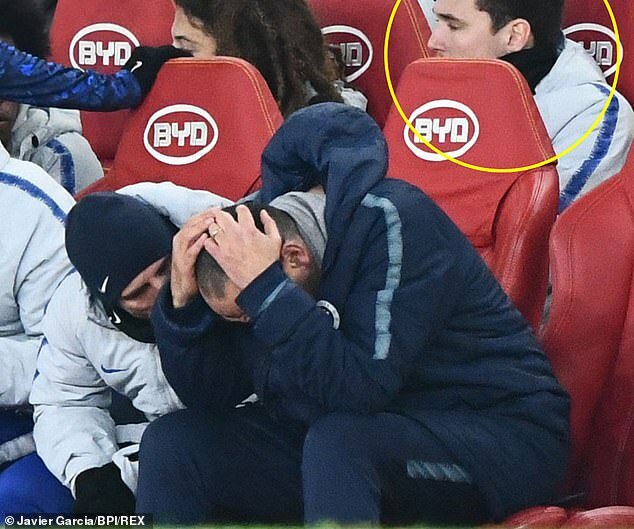 Chelsea defender Andreas Christensen irked his manager Maurizio Sarri after leaving the substitutes bench with 15 minutes of Saturday’s 2-0 defeat at Arsenal left. 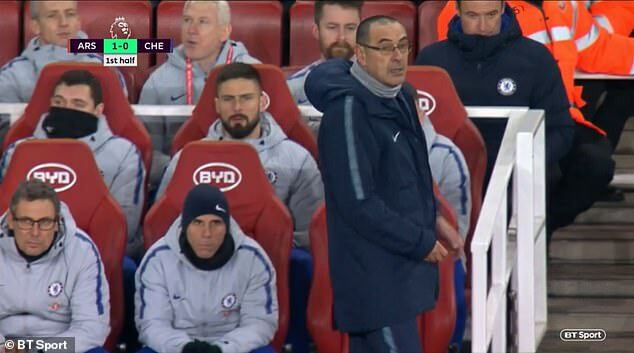 The Denmark defender reportedly excused himself to go to the toilet after Sarri made his third and final substitution at the Emirates Stadium and did not return. The Times report that Christensen’s absence was noted by Sarri, who wasn’t impressed with his lack of professionalism. 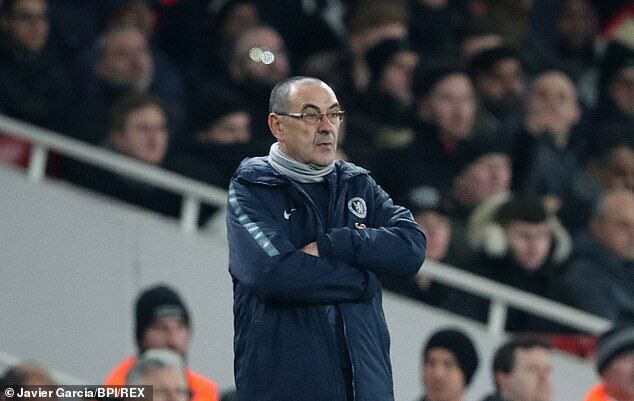 It isn’t clear whether he received permission from Sarri or his coaching staff to leave the bench. It throws Christensen’s future at Stamford Bridge in doubt after he fell out of favour under Sarri this season having been a regular starter under previous manager Antonio Conte. The central defender, 22, made 40 appearances in all competitions for the Blues last season but has struggled for game time since the chance of manager last summer. 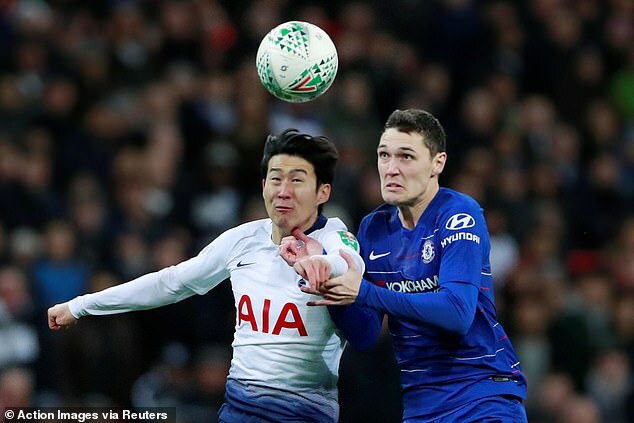 Christensen has played in just one Premier League match, completing the 2-1 defeat at Wolves back in December, and has been an unused substitute in 14 league matches and excluded from the squad entirely for eight league games. He has started every one of Chelsea’s matches in the FA Cup, the Carabao Cup and the UEFA Europa League so far this season. It has proved a frustrating season for Christensen after he started all four of Denmark’s match at last summer’s World Cup in Russia. Having impressed under Conte, the Dane had been regarded as a long-term first-team player at Chelsea but his progress has stalled under Sarri, who has prefered David Luiz and Antonio Rudiger at the back. 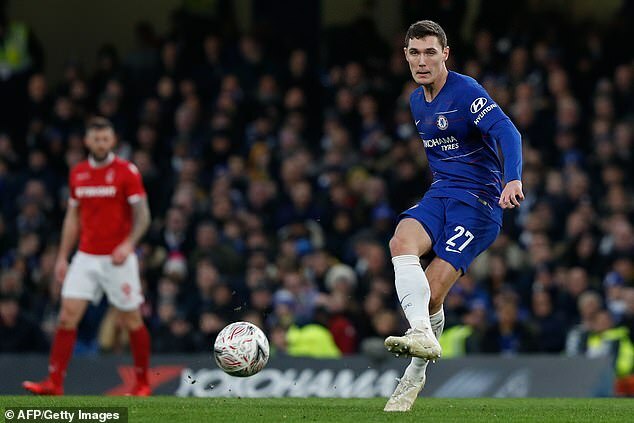 Though AC Milan and Barcelona have expressed an interest in signing him, Christensen has three-and-a-half years left on his contract and Chelsea would be reluctant to sell. His actions at Arsenal throw into doubt his inclusion in Thursday night’s Carabao Cup semi-final, second leg against Tottenham Hotspur, where Chelsea will try to overturn a 1-0 deficit. Tyson Fury Gave £7million Wilder Purse to Charity and He do not want Praise for it.